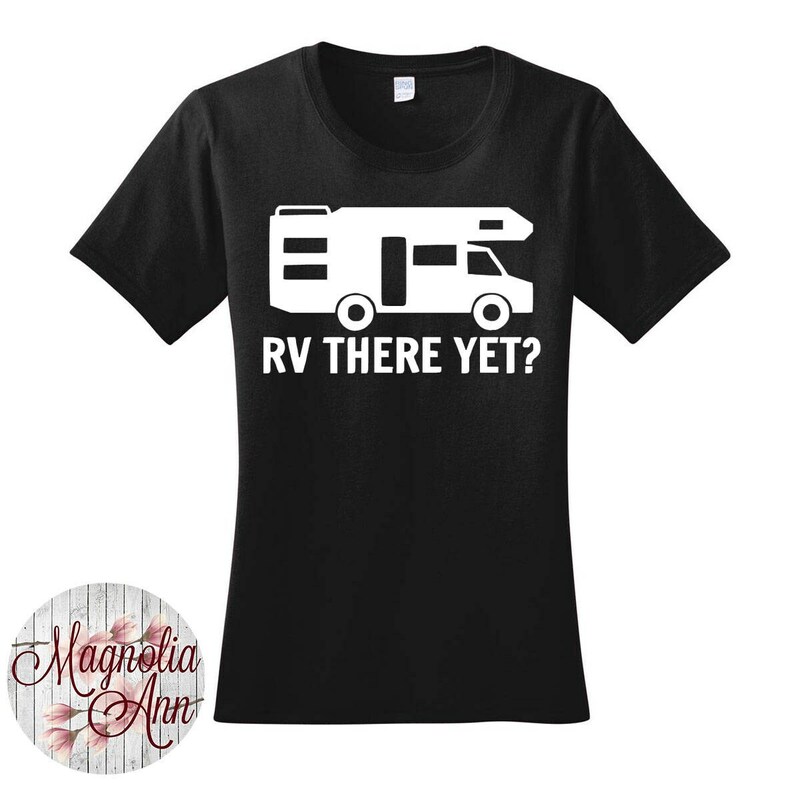 This "RV there yet" design is heat transfer vinyl that is heat pressed on top of a Women's Port & Company 100% Cotton Ring Spun Pre-Shrunk T-shirt. Gray is 90% Cotton/10% Polyester. Comes in Sizes Small-4X. 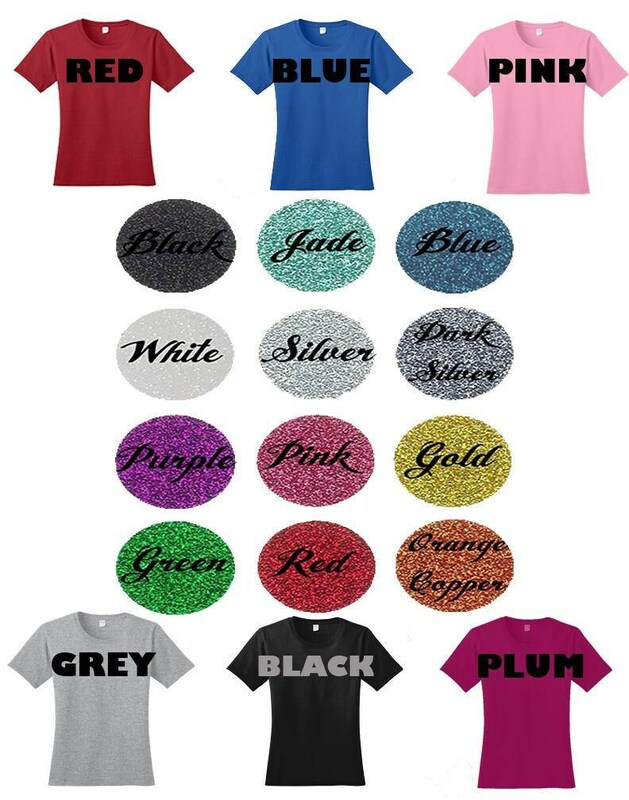 T-shirt is available in 7 different colors. 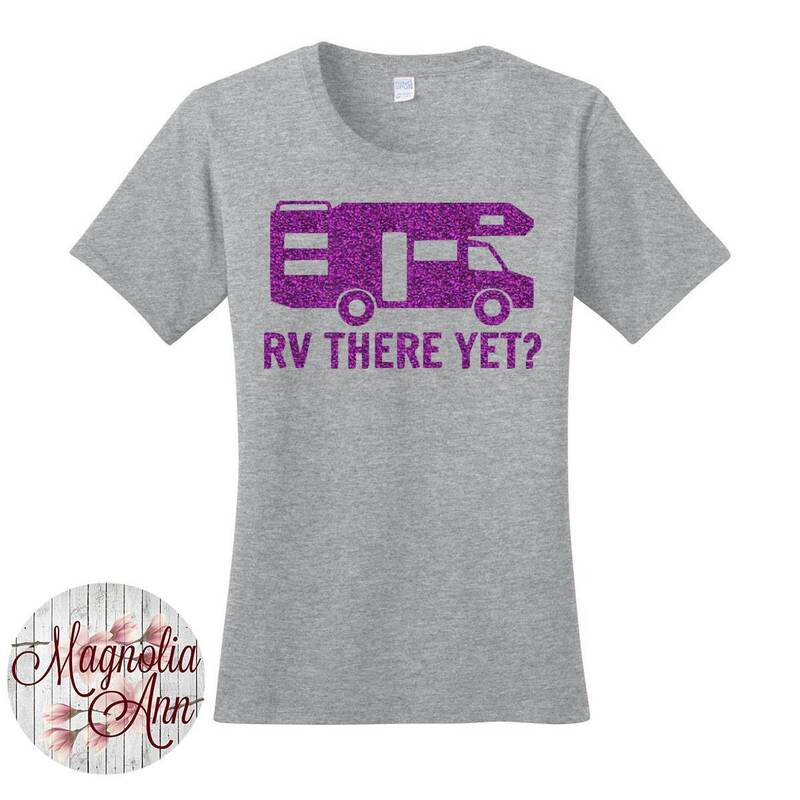 The Purple tee is more of a Plum/Raspberry color in person. 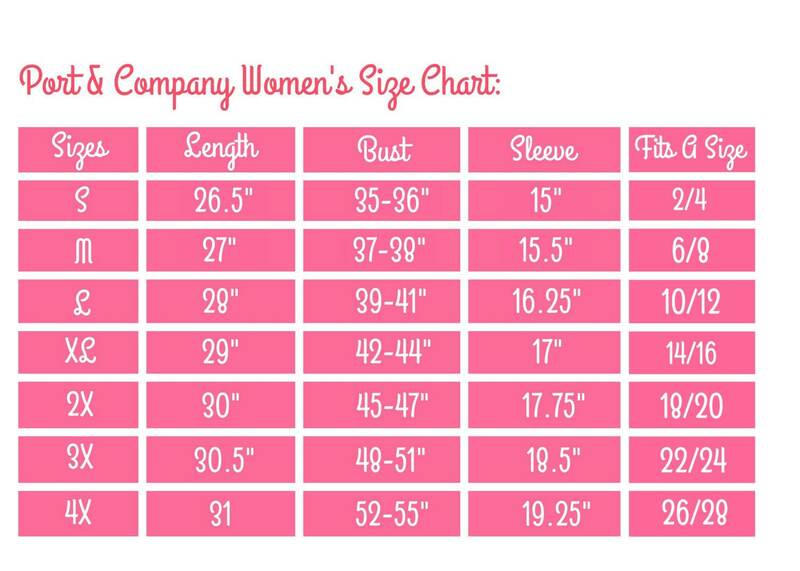 See photos for more size and color information. 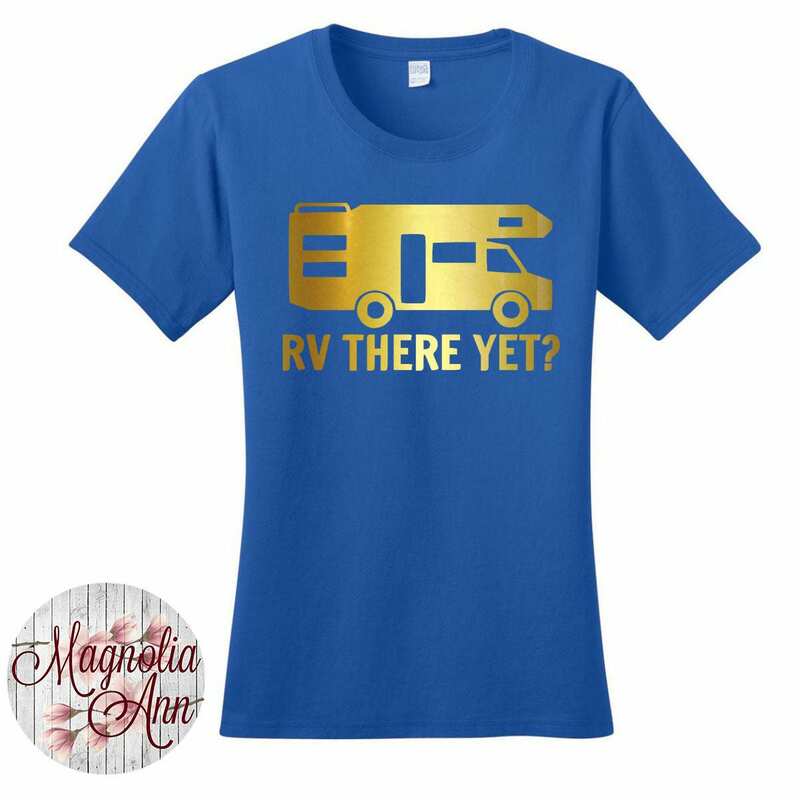 RV There Yet design is available in solid white, solid black, shiny gold metallic and 12 different glitters. Choose your selection in the drop down menu.